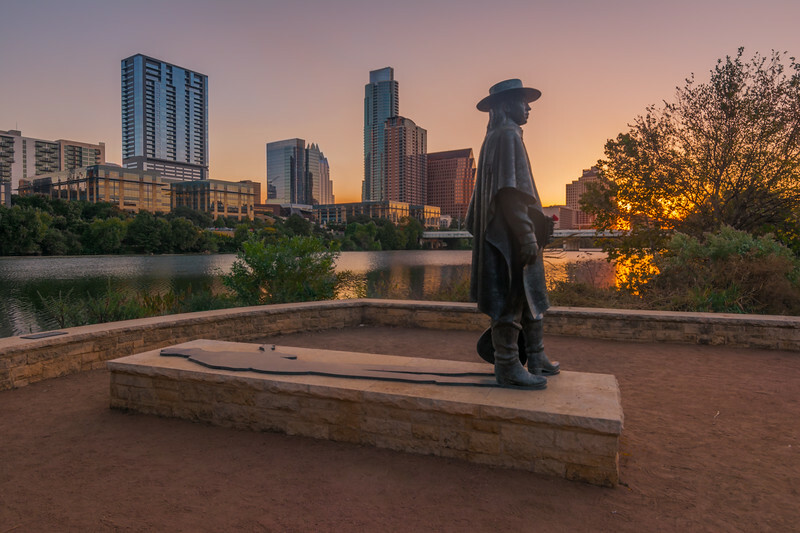 Stevie Ray Vaughan statue at sunrise: Austin Texas. I took this photo of Stevie Vaughan's Memorial back in 2015. Back then, the construction downtown was minimal at best.